At first glance, this looks like some simple stamped swirls, but at a closer look you can notice that each swirl has a different color on the two halves of the nail. Now we all know what a reciprocal gradient is, but usually it is done using tape to mask the first gradient while you add the second gradient. 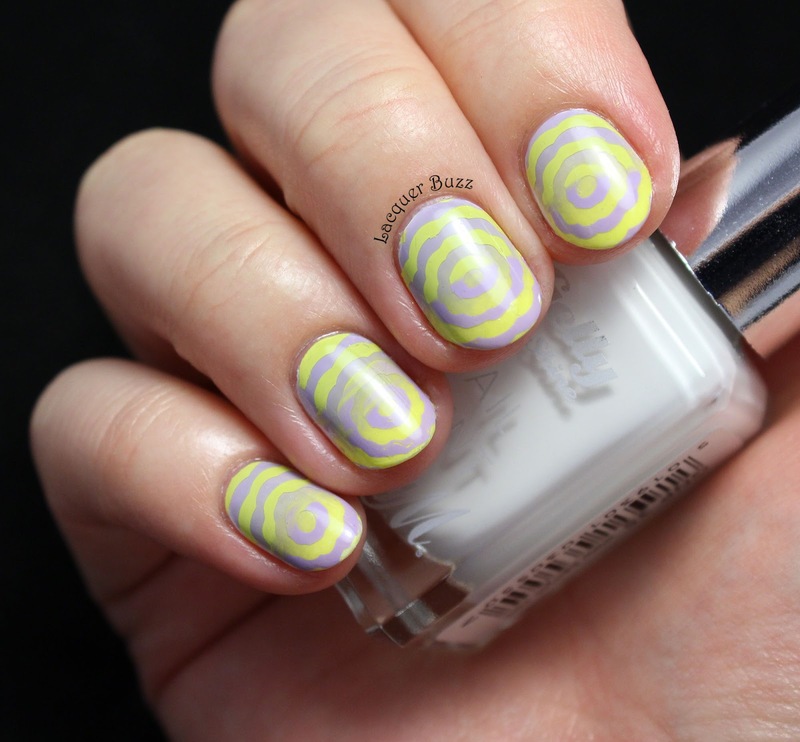 I decided to stamp the second gradient instead, which was a lot easier to do and resulted in a very hypnotizing manicure. 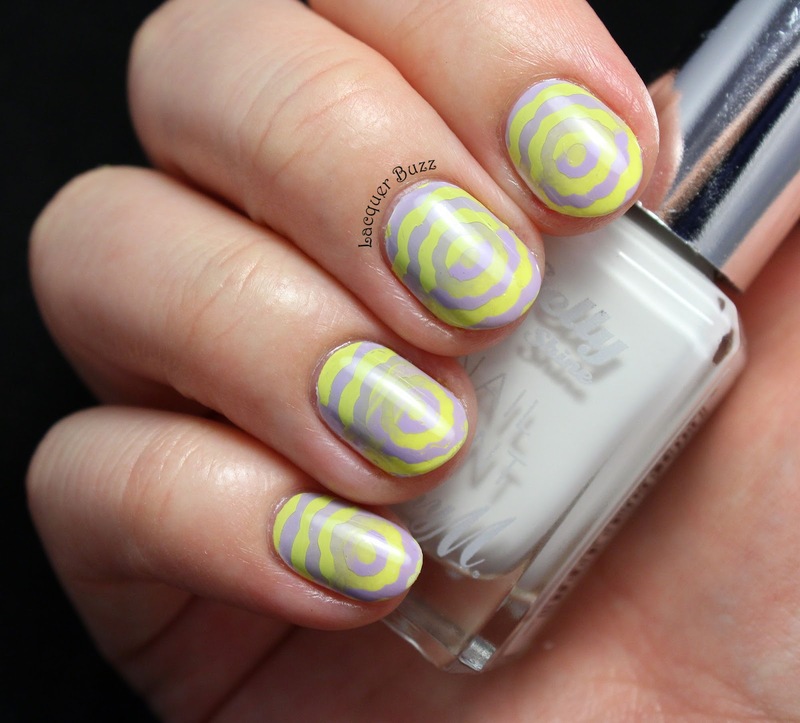 I started with a gradient of Flormar WL04 at the base of the nail and Kiko 355 Canary Yellow at the tip. 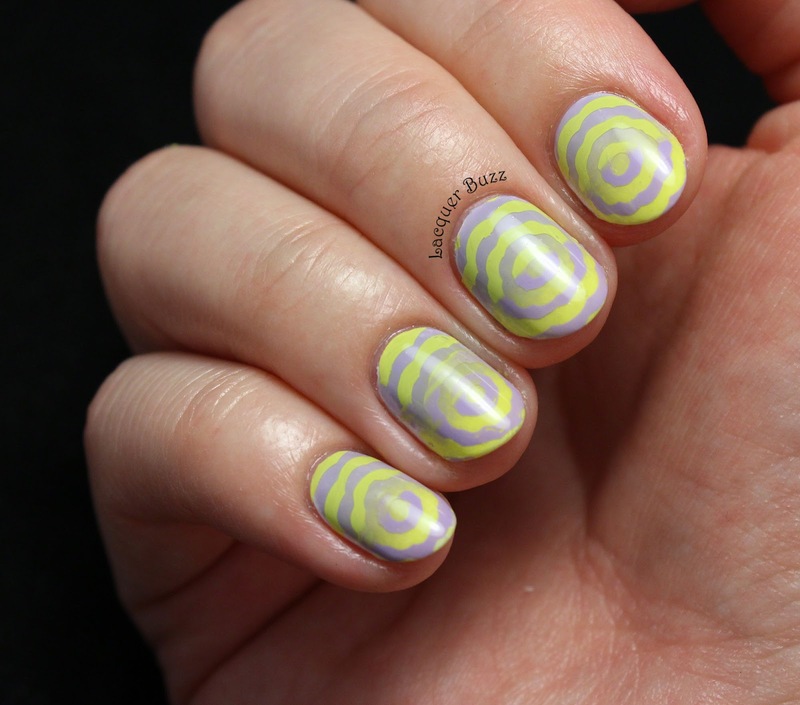 I chose these two colors because they were very similar to the ones I wanted to stamp with. 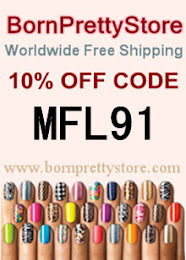 They are two stamping polishes from the Born Pretty Store that can be found here. 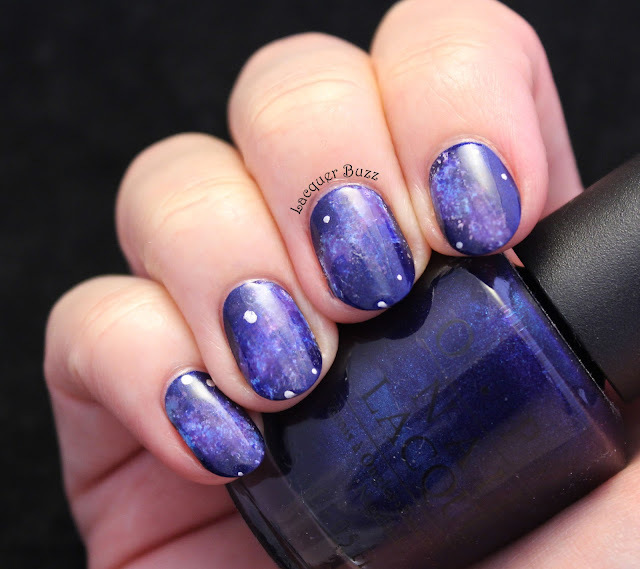 These are pastel stamping polishes but have a nice opacity, even over darker colors. 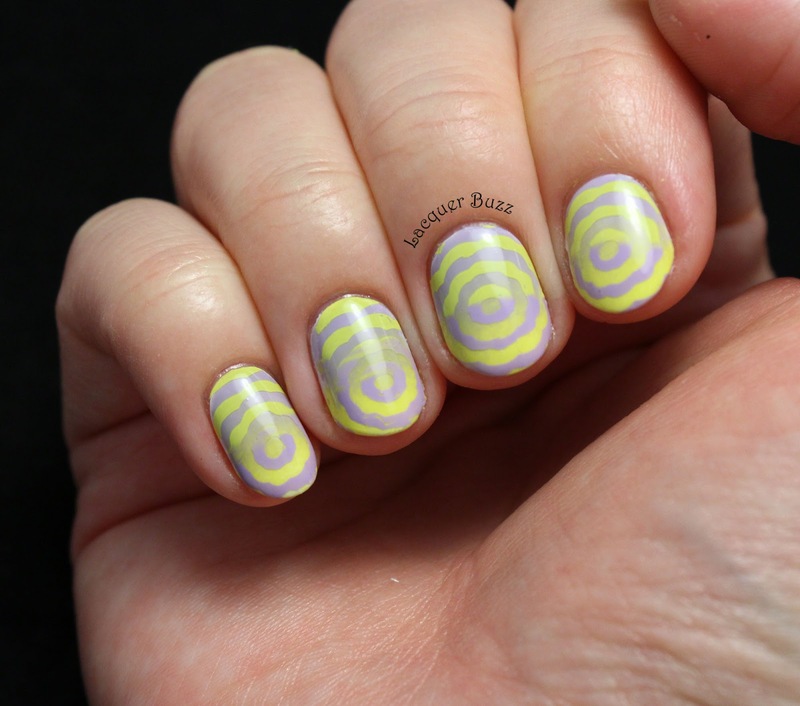 I used a swirly image from plate FUN 17 from Fab Ur Nails and did some gradient stamping, which means I used both colors but the other way around (the yellow at the base and the lilac at the tip). I stamped with my brand new Clear Jumbo Stamper from Fab Ur Nails, which helped me place the stamping so that the gradients matched. 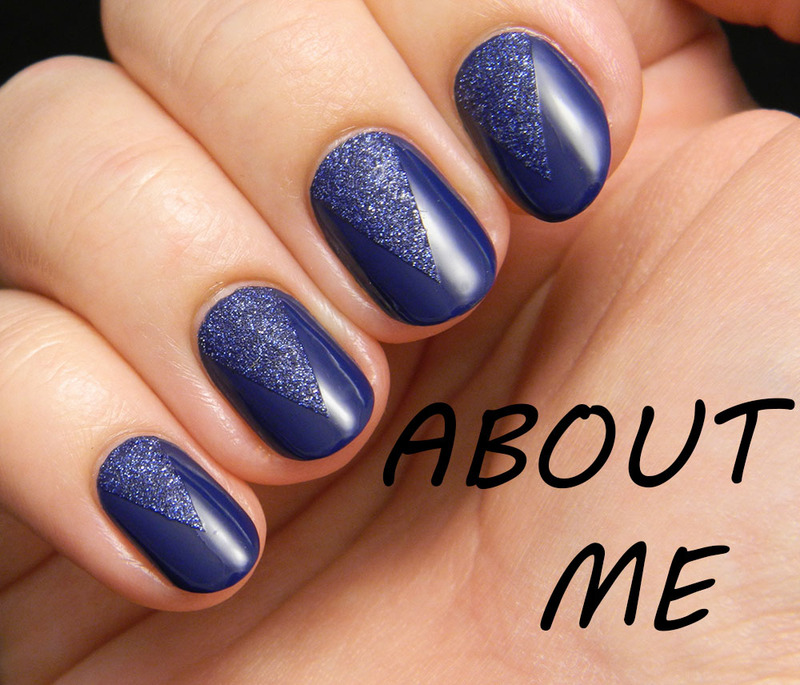 Please let me know what you think of this manicure. I'm absolutely chuffed with how it came out. I can't wait to try this technique again with the help of the clear stamper. It's a piece of cake. 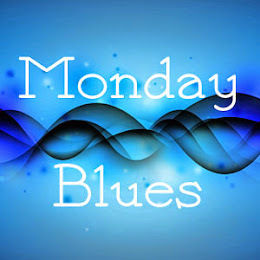 Hope you are having a great week and have a great weekend!